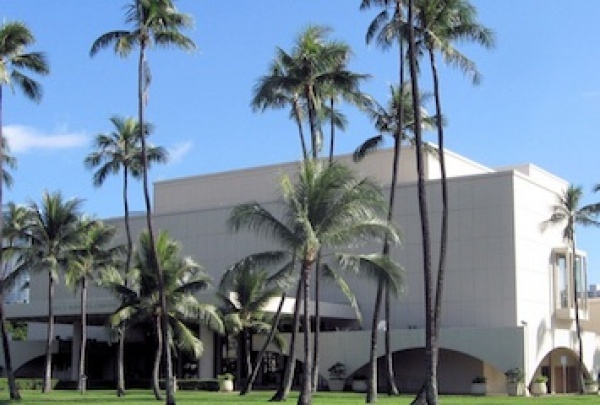 The Blaisdell Concert Hall is Hawaii’s premier performing arts theater for symphony, opera, broadway productions, and other national touring shows. This magnificent theater seats 2,158 people in luxurious comfort. With continental seating a proscenium stage and modern lighting and sound systems, the Concert Hall can also be used for plenary sessions, symposiums and other large meetings. Wheelchair-accessible seats are not available online, but have to be purchased through the theater or by calling the local promoter for help.